Tomorrow is Thanksgiving Day in the United States. 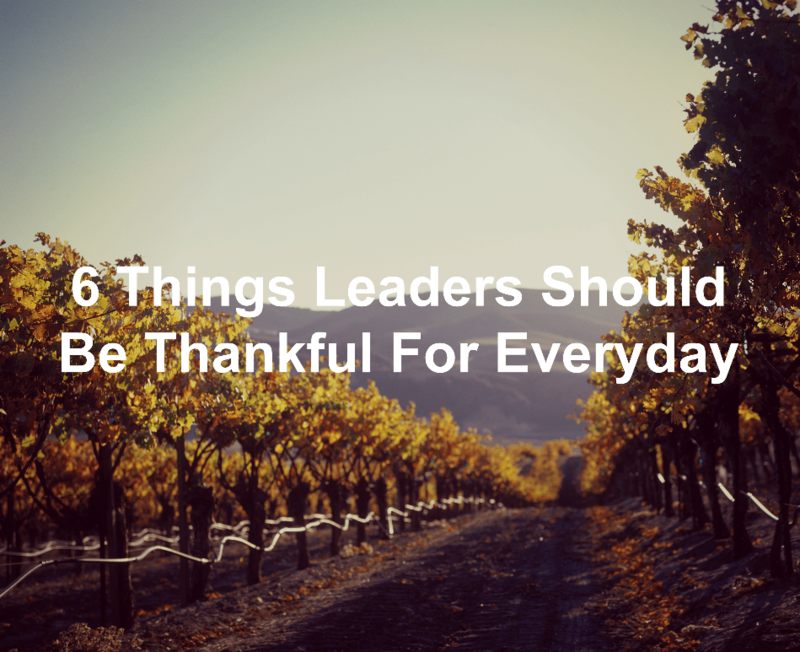 Because of this, I wanted to reflect on 6 things leaders should be thankful for on Thanksgiving and every other day. There’s a lot of pain that comes with leadership. Struggles no one else ever sees. Betrayals by coworkers and friends. Business failures. And so much more. Yet there are also things leaders should be thankful for. Let’s take a look at these today. Yes, be thankful for your successes. Your successes mean you’re having an impact on the world around you. Don’t hide your successes. Celebrate your successes and be thankful for them. Hold up… You mean leaders should be thankful for failures? Oh yeah, leaders need to be thankful for failure. Failure is an opportunity to learn and grow. You can examine your failures and see why they didn’t succeed. Learn and grow from your failures. They’re a great stepping stone to your next success. If you’re a leader, you’re influencing other people. These could be team members, customers, even your vendors. Your influence is guiding and leading people. Be thankful for the influence you have on others. Your team is a valuable part of your leadership. From leaders in training to the people working on the ground floor of your organization, these are the people who are the foundation. Without your team, there’d be a lot more work for you, the leader, to take on. Be thankful for your team members. They take a huge weight off of your shoulders. Sometimes it can be hard to be thankful for the organization you work for. 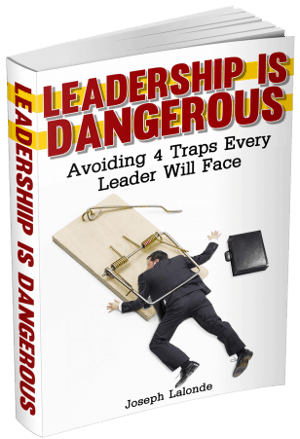 There comes a lot of stress and frustration when you lead an organization. There are times when you feel unappreciated. You begin to wonder why you’re there when no one values the work you do. This shouldn’t negate the thankfulness you feel towards the organization. You have the opportunity to guide, build, and lead the organization in a new direction. Be thankful for the organization you work in. Sadly, I’ve seen families get passed over by leaders more often than not. The leaders dedicate themselves to leading an organization yet forget to lead the most important organization they chose to join: Their family. Your family is part of your mission. You chose them. And they’re a godsend. Be thankful for your family every day. One day they may not be there. Question: What are you thankful for as a leader? Let me know in the comment section below.